Lithium Ion Rechargeable Batteries for Cameras & Most Flashlights. 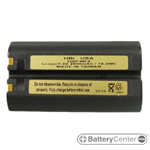 Lithium Ion Rechargeable Batteries for use with Cameras & Most Flashlights. Available for nationwide distribution.